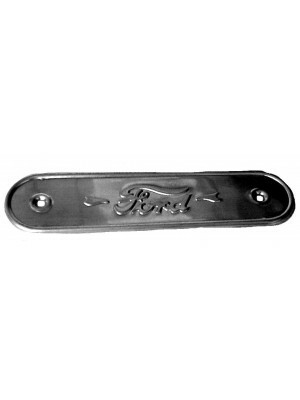 Sill Plates - 1928-1929 Roadster Pickup- Steel-USA Made- Ford Script- Roadster Pickup Only- Must be ..
Sill Plates -1928-1929 Phaeton Rear - Steel- USA Made..
1928-1929 Phaeton Sill Plate Extensions- Pair- These steel USA Made plates install behind the rear .. Braces For Sill Plates- These fit under the sill plates. Riveted to the sub frame. 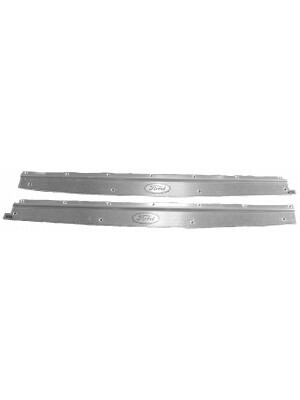 Sold in..
A-48655 Sill Plates - Coupe - Aluminum -Pr. 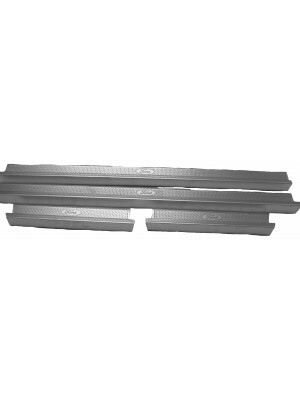 Sill Plates - Coupe - Aluminum -Pr. These are thin aluminum. FORD script. 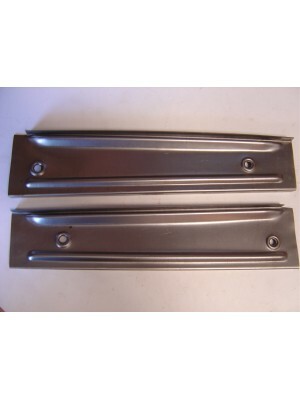 These fit under the door o..
A-48655-A Sill Plates - Coupe - Zinc 100% as original- pr. 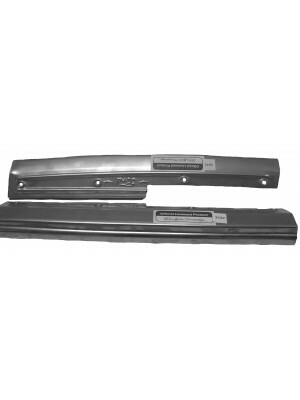 Sill Plates - Coupe and Sport Coupe -Thick solid Zinc 100% as original- pr. 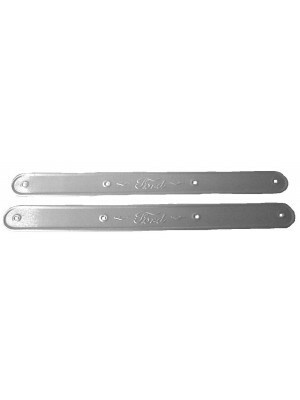 These fit under th..
A-48660 Sill Plates - Tudor Sedan - Aluminum-Pr. 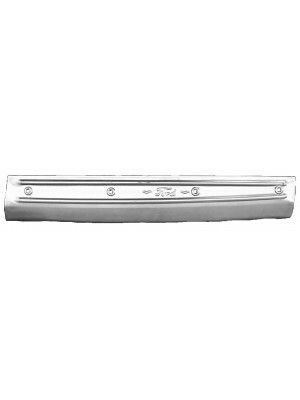 Sill Plates - Tudor Sedan -Thin Aluminum-Pr. These fit under the door. 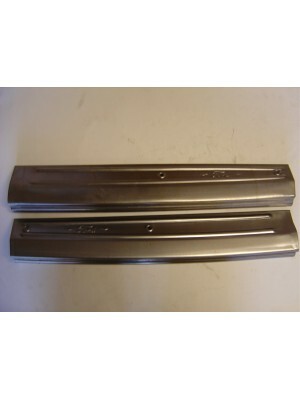 Foreign made Includes sl..
A-48660-A Sill Plates - Tudor Sedan - Zinc -100% as original-Pr. 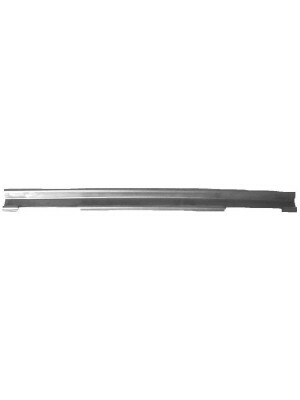 Sill Plates -Fits all 1928-1931 Tudor Sedan - Thick solid Zinc -100% as original-Pr. 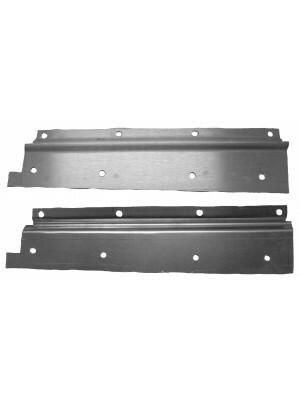 These fit..
Sill Plates - All Murray 4 Door Standard Sedans- Set 0f 4- Solid zinc as original. 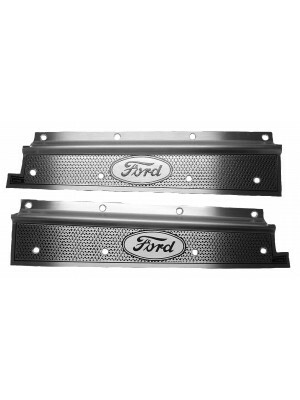 ..
Sill Plates- Fits All Murray Town Sedans-1929-early 1931-set/4. 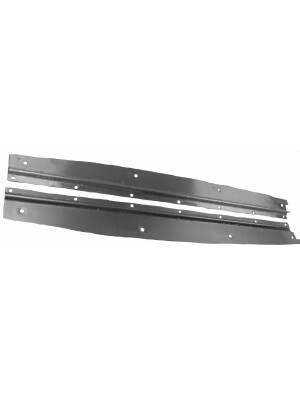 These are exactly as original with F..
Sill Plates - Quality USA made Zinc sill plates for 1928-early 1931 Briggs Standard 4 door sedans. O..
Sill Plates - Solid Zinc- USA made- Fits 1928-1930 Briggs Standard 4dr- Pr.- Fits REAR only..
Sill Plates -Exact duplicate of the 1929-early 1931 Briggs Town Sedans - Front only- Pair- USA made ..
Sill Plates -Exact duplicate of the 1929-early 1931 Briggs Town Sedans - Rear only- Pair- USA m..